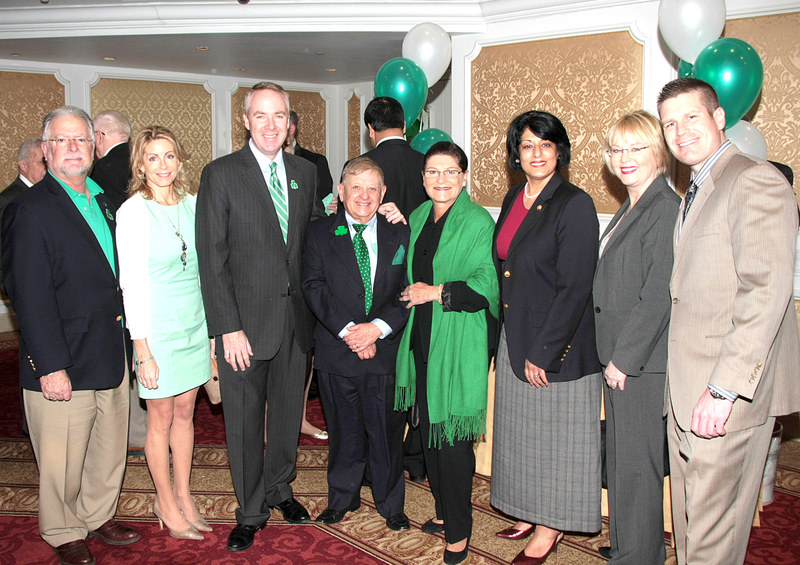 (Mineola, NY) The Garden City Kiwanis Club recently held their 60th Annual St. Patrick’s Day Luncheon at the Garden City Hotel. Nassau County Clerk Maureen O’Connell joined other area officials and community members in supporting the Kiwanis Foundation and their service to the local community, especially young people in our area. This includes sending local children with special needs and developmentally disabled adults to Kamp Kiwanis and providing college scholarships to deserving students. The Club’s luncheon is one of the most successful and fun-filled Kiwanis events celebrating all things Irish in the state and is attended by over 400 people each year. It features comedic entertainment, Irish music and pipers.